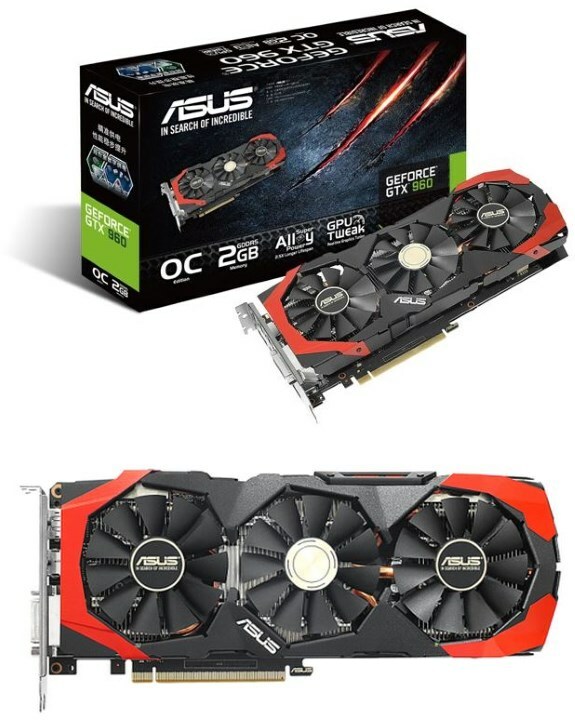 To warm up for the big GPU news of the day we have a couple more video card announcements. First up is a post from VideoCardz about the launch of a new ASUS GeForce GTX 960 graphics card with the DirectCU 3 cooler. It was introduced without much fanfare, the card is selling in China for around 1700 yuan ($270) and is the first product with the DirectCU 3 cooler.